Developers are using the public cloud in record numbers. IDC reported in December 2013 that cloud spending, including cloud services and the technology to enable these services, will surge by 25% in 2014, reaching over $100B. While developers and business units gain significant agility and competitive advantages using the public cloud, many CIOs are seeking to provide private cloud services that leverage their existing investments in virtualization. For many companies, this means taking advantage of existing VMware® vSphere® environments and expertise. The challenge in bridging these two worlds is that vSphere and other virtualized environments are not equivalent to cloud. They often lack key cloud capabilities, and access is typically limited to a small number of trained administrators. These teams increasingly want to expand cloud adoption by combining public and private cloud resources with their existing vSphere environments. They want a cloud-centric way to deploy and manage applications, while allowing VMWare administrators to continue to use familiar vCenter management tools. New solutions help you do this. For example, with the RightScale Cloud Appliance for vSphere, IT teams can choose whether to deploy workloads to VMware vSphere or any of the leading public or private clouds already supported by RightScale, and will be able to create portable workloads that can move seamlessly between cloud environments and VMware vSphere. Single pane of glass across cloud and vSphere environments: The right cloud management platform enables infrastructure teams to manage cloud-based workloads — including major public clouds, vSphere environments, and OpenStack and CloudStack-based clouds — from a single pane of glass. 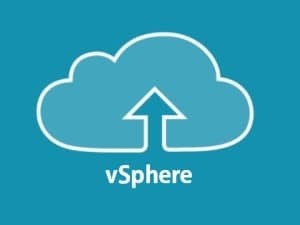 Enhanced vSphere environments with cloud-like capabilities: Cloud environments offer additional capabilities that go beyond the functionality of virtualized environments like vSphere. For example, the RightScale Cloud Appliance for vSphere appliance provides multi-tenancy governance on top of vSphere to allow automated, policy-based sharing of vSphere resource pools by multiple tenants. It also adds standardized instance types to enable developers to quickly pick from a preconfigured set of infrastructure options. Self-service access across cloud and virtualized environments: vSphere environments have traditionally been controlled, configured, and managed by IT. New types of users such as application developers, software architects, and DevOps teams can deploy and move workloads across cloud and vSphere environments according to the policies set by IT teams. Leveraging vCenter and cloud management in parallel: Look for a multi-cloud management solution that allows users to continue to use VMware® vCenter Server™ in parallel with your cloud management solution. For example, developers can leverage the cloud management to deploy workloads in vSphere, while VMWare administrators can leverage vCenter. As you think about your own company’s journey to the cloud, consider the importance of your existing virtualized resources, and imagine the power of giving them the same characteristics as public clouds.